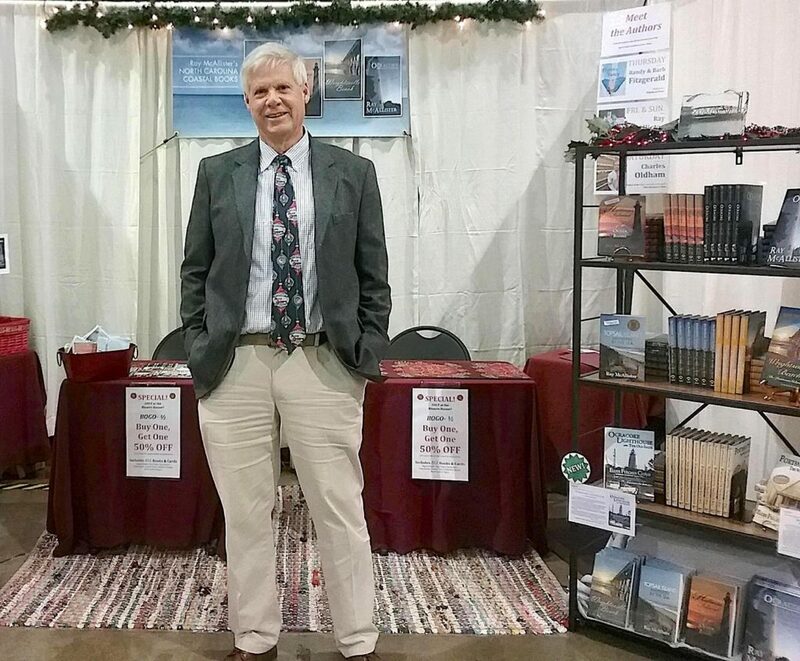 AUTHOR RAY McALLISTER, Award-Winning Chronicler of the North Carolina Coast and Beyond. Go one way on Wrightsville Beach, you’ll see the famous Johnnie Mercer’s Fishing Pier, near the site where a giant sperm whale named Trouble once washed ashore and refused to leave. Go the other way to the classic downtown and points south, including the Coast Guard station and the site of the late, great Lumina Pavilion. 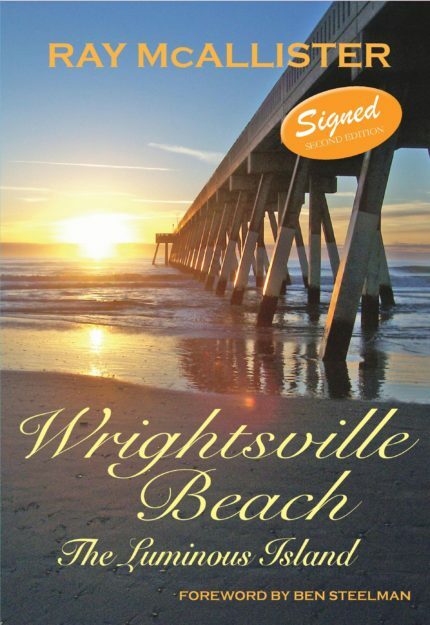 Wrightsville Beach: The Luminous Island is Ray McAllister’s homage to a special place, a book that captures not only Wrightsville’s history but its heart. Along the way, he shares stories of fire and hurricanes and beach trolleys and Big Bands. Ocracoke Island, beautiful and serene, is a vacation paradise. Yet … treacherous storms, pirates and German U-boats have taken down ships offshore and made onshore lives precarious. And it was at Ocracoke that the ruthless pirate, Blackbeard, met his end in a ferocious battle. But the island is also home to the iconic 1823 lighthouse that is a photographer’s favorite, and ferries full of visitors and throngs of bicycle riders, a legendary herd of once-wild ponies and miles of nationally honored beaches, the charmingly unpaved Howard Street and the poignantly serene British Cemetery. 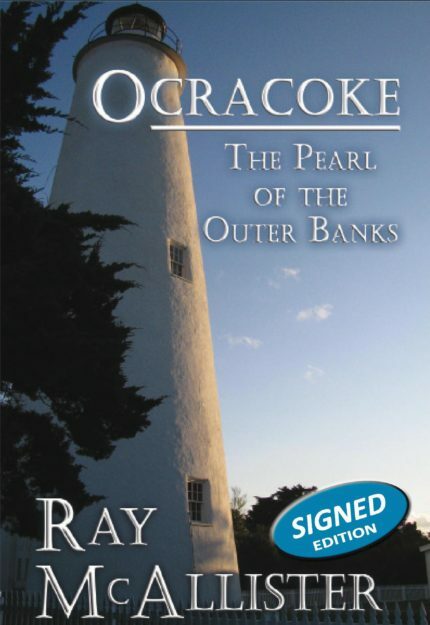 Ray McAllister explores them all, then goes further in search of the soul of Ocracoke: The Pearl of the Outer Banks. The Richmond Forum is not only arguably but probably the premier speaker series in the United States, with a roster of speakers that looks like a Who’s Who of Who’s Who: from Ronald Reagan to both George Bushes to Bill Clinton, from Oprah to Mary Tyler Moore to B.B. King, from Mikhail Gorbachev to Benjamin Netanyahu to Tony Blair, from Cal Ripken to Terry Bradshaw to Russell Wilson. Ray McAllister goes backstage, off-stage and around the city to share the intimate stories of all those speakers, and many more, illuminating stories never known until now. 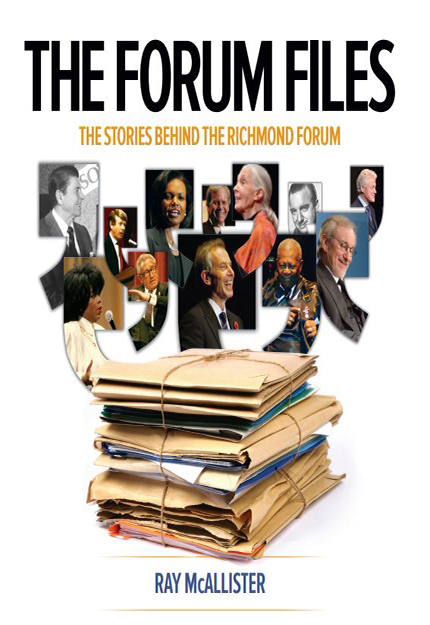 The Forum Files: The Stories Behind The Richmond Forum is a fascinating and entertaining book. 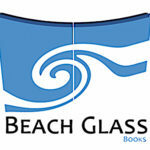 All Books are Signed, Personalized and Shipped for Free.